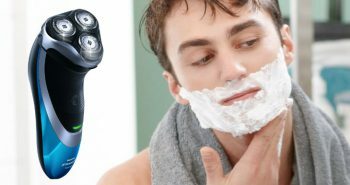 Men who are on a strict budget may balk at paying over $100 for a men’s shaver, particularly if they need a special electric groomer to trim their beards or other facial hair. Remington has a solution to this problem. The Remington PG6025 All-in-1 Lithium Powered Grooming Kit is not only affordable, but it also comes with a variety of attachments so you can customize your look. The Remington Model PG6025 has a black plastic finish. There are six different attachments, depending on the shaving purpose required. There is also a handy black drawstring bag so you can safely transport your groomer and attachments in your luggage, backpack, or briefcase. The Remington PG6025 has an elongated shape, with two large indents right and left, so you can get a firmer grip in your hand. The power on/off button is located on the middle front, with three green bars of light to indicate power status. Along the bottom front is the Remington logo in white. The Remington PG6025 is a cordless, rechargeable groomer. It is powered by a lithium battery. Remington is known for their great rechargeable lithium batteries. These have been built to efficiently direct power and torque to the blade’s motor. One full charge will give you fifty to sixty minutes of cordless shaving time. And it doesn’t matter whether you have freshly charged it up, or only have a five minute charge left. Your shaver will always be operating at optimum performance, so you won’t experience any lag in speed or power. The lithium battery is high-quality and it will last three times longer than other types of batteries. You can use the shaver while it’s plugged in, but not when it’s fully dead. Much like your smart phone, you’ll need to wait five minutes while it gets enough charge for you to shave this way. It can be handy for those weeks when you forget to charge it up and find it dead the next morning. The blades built within the Remington PG6025 are made from a strong surgical steel. They are also long-lasting, so that they won’t get dull easily. Steel is also a great option for men who may be allergic to nickel. When they groom their face they’ll experience less skin irritation. This groomer will deliver both precision and comfort to the shaving and grooming experience. These blades are also self-sharpening, and will have a stay-sharp edge that will last for a longer time than the blades in other brands of shavers. Now you’ll never have to worry about dull blades again, or have to worry about your skin getting nicks or cuts because the blades are getting dull. 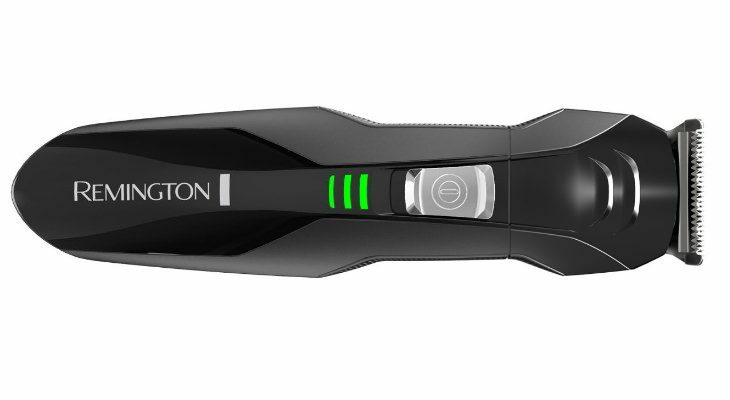 You’ll always have a clean and smooth shave every time you use your Remington PG6025. 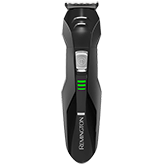 You’ll be able to use the Remington Model PG6025 to trim, detail, or shave any unwanted hair from your face. You’ll only need the one shaver, and not have to purchase several, but it will also make a great back-up shaver for your briefcase or the office. You’ll be able to always look your best when you have your grooming kit handy. This groomer is also suitable for men who like to maintain a completely hair-free body. You can use your groomer kit to shave other parts of your body, from head to torso, legs, and back. 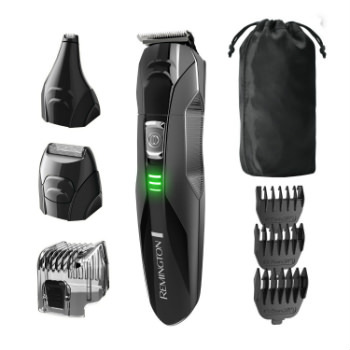 The Remington PG6025 is not waterproof, so you must shave dry, but each of the attachments is fully washable once you remove them from the Remington Model PG6025 body. The Remington PG6025 costs under $20, making it an affordable purchase for any man with a beard who has currently been trimming with only scissors and a regular electric shaver. 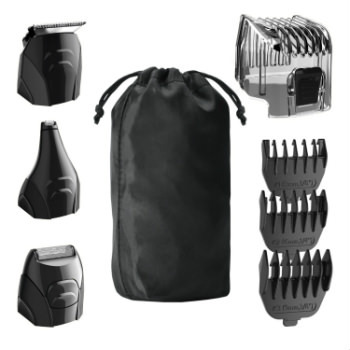 Inside the box you’ll receive one Remington PG6025 groomer, three attachable snap-on black combs in varying sizes, nose and ear trimmer, linear and foil grooming combs, a charging cord, plus a black drawstring bag. The entire package weighs around one pound, and measures 3” x 9.2” x 4.5 inches. 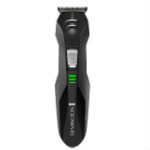 The reviews are favourable for the Remington PG6025 All-in-1 Lithium Powered Grooming Kit. On Amazon, this shaving kit is rated 4.2 out of 5 stars. When comparing this shaver with others you may wonder what it doesn’t have. Besides not being able to use wet, there is no way to adjust the length of the combs, so you’re stuck with what’s in the kit. There is also no LED readout panel. If you’re in the market for a new cordless and rechargeable men’s shaver, but don’t care if it can be used wet, the Remington PG6025 All-in-1 Lithium Powered Grooming Kit may be exactly what you’re looking for. Don’t expect a lot of features in this shaver, but it will definitely get the job done.